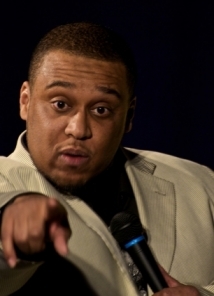 Aaron Foster is a high-energy, creative and engaging comedian who has been honing his act for over ten years. Aaron got his start at All Jokes Aside, as a DJ in the first all-black comedy club in Chicago. He spent his time surrounded by world famous comedians such as Cedric the Entertainer, Carlos Mencia, Tommy Davidson, Jaime Foxx, Mike Epps and Dave Chappelle, among many others. Aaron has gone on to become one of the top standup comics in the area. He has performed for the troops across seas for the USO tour. His following includes 42 states and 4 countries. This video is only available in an uncensored version. To access this video, you must register, provide your birth date, and opt-in to receiving uncensored content.